It is already November, it is getting colder and the bright days are getting shorter and shorter. But instead of being annoyed about the bad and dreary weather at home, you can be happy: The ski season is in the starting blocks! Some ski resorts are already open, others will open in the next few weeks. Book your ski holiday with Call a Jet now and enjoy your well deserved vacation. Rent your own private jet and fly into the most beautiful European skiing areas. Courchevel is a ski sport region in the Savoie department in the French Alps. The ski resort Trois Vallées is composed of Méribel, Les Menuires and Val Thorens . Ischgl is known for the Silvretta ski Arena, which connects the town with the Swiss village Samnaun. It is one of the largest ski areas with 238 km of pistes and 45 lifts. Additionally this region is also considered to be one of the snowiest ski resorts in the Alps. 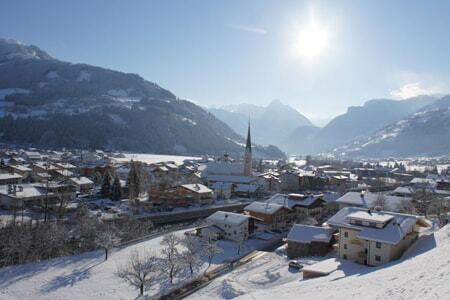 Kitzbühel is worldwide know for the Hahnenkamm Race, which attracts celebrities from all over the world. The local ski resort has 53 cable cars and ski lifts as well as 170 kilometers of pistes. The actual town center of Sölden lies at 1.368 m and the higher part, Hochsölden at 2.090 m. Here are five 4 star hotels located. St. Moritz is one of the most famous winter sports resorts in the world. 1928 and 1948 the Olympic Winter Games were held here. In St. Moritz we can take you directly to 1,800 vertical meters. At the highest airport in Europe you are literally landing directly in the ski resort at a height of 1,800 meters. With Zermatt you also automatically connect the world famous Matterhorn, at which foot the mountain village is located. The holiday resort directly next to Italy attracts winter sports enthusiasts from around the world with 38 four-thousand-meter peaks. The Zillertal is with more than 515 km of pistes and 179 lifts divided into 4 large ski areas, the largest ski resort in the world. You will land with your private jet directly on the ski slope and not in a traffic jam. We fly you with your jet to the nearest airport and the last piece can be arranged either by helicopter or by your desired limousine directly to your favorite hotel. For example, Call a Jet can offer you special hotel rates at the L’Apogeé Courchevel Hotel of the famous Oetker Hotel Group. Save time and money. Take all your luggage and your own ski gear with you. Invite your friends. Enjoy together all the advantages of your own plane. Start directly from the VIP terminal and take off within 15 minutes. Your personell Catering is of course with on board.